There is some fret wear pictured that doesn’t affect play yet. 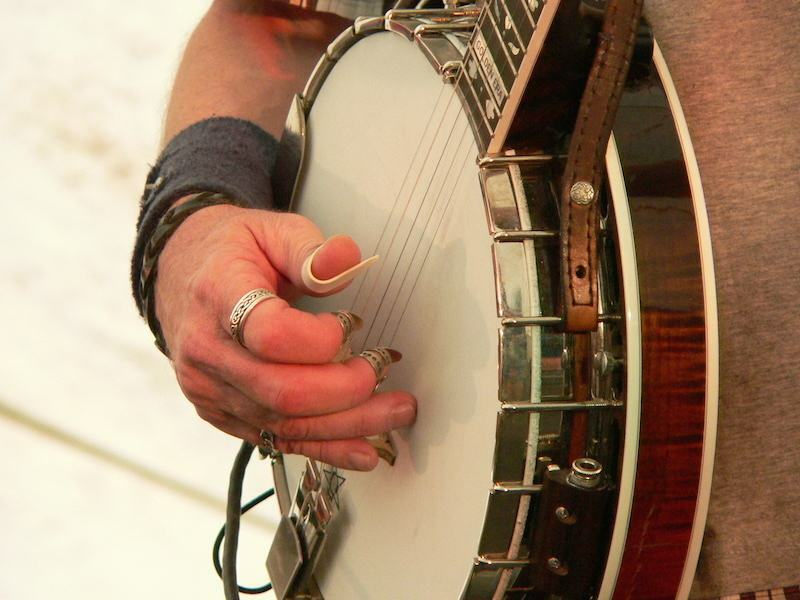 This banjo features a great low-action and is a very heavy banjo. Made in China as are the later Gold Star banjos. This video clips was sent to me today. Here is an interesting video clip of what some believe to be the early evolution of the banjo. The instruments shown here are called Hunter’s Harps also known as Calabash Harps. Other instruments that have similar mechanics are the Kora a West African harp of the family of bridge harps or harp-lutes. The Kora and Ngoni are well-known names. Donsongoni, Simbin, and Kamalengoni are also types of calabash harps.